I am the founder and main writer of AskaNaturalist.com. Why is a Robin Hovering Around a Cardinal’s Nest? The Question: We have a bird nest in our backyard that was made by a cardinal. Recently, we noticed that a robin seems to be hovering around the cardinals’ nest. The cardinals seem upset by this, and seem to work as a team to keep the robin at bay. Can you explain what is going on? The Question: What kind of animal builds a 3-4 inches (8-10 cm) high mound of mud balls with a 1 inch (2.5 cm) hole in the top? They look like mini volcanoes. 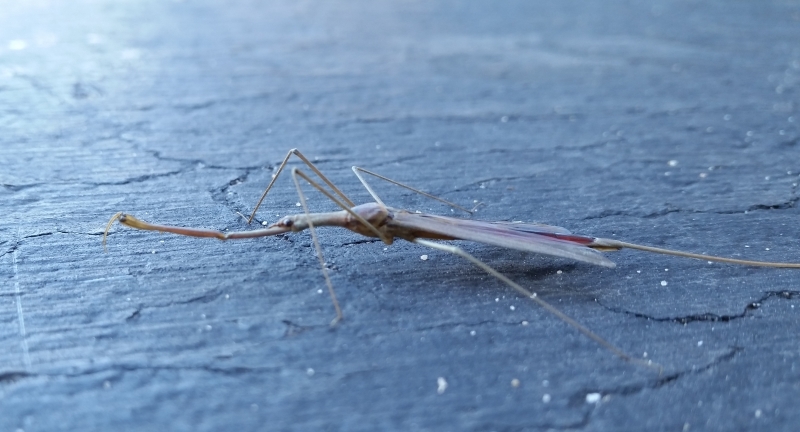 I have found a couple of these in a swampy area near a river. I live in Michigan. Why Don’t Ducks’ Feet Freeze? Why don’t the feet of a duck (seagull, goose, or other winter bird) freeze when they spend the night apparently sleeping on ice in sub-zero temperatures? Also, do you know if they stand on one foot and then the other going back and forth as a strategy to help with this? The Question: “Are snakes useful to humans? And what role do they play in nature? Where Does Trash End Up? If you’ve ever wondered whether a little trash makes any difference, this picture gives a moving answer. The bottle caps, cigarette lighters, and hundreds of other pieces of trash that killed this albatross may have come from half way around the world. Albatross will scoop up just about anything they see on the surface of the ocean because in pre-plastic days, virtually anything floating on the ocean was food. Also, apparently, flying fish lay their eggs in long strings attached to floating objects, and albatross feed on them by scooping up whatever they see floating. Then they go back and regurgitate to their chicks. Unfortunately, all the plastic junk the parents have ingested ends up in the chicks. In this case, it was enough to kill the chick. These photos are a tragic demonstration of the interconnectedness of our environment. Every bottle cap or plastic bag we throw away on the sidewalk can end up washing into a storm grate, into a river, out into the ocean, and eventually into the gut of an albatross chick. Cite this article as: Pelletier, TC. (April 19, 2010). Where Does Trash End Up? Retrieved from http://askanaturalist.com/where-does-trash-end-up/ on April 21, 2019. If you have have corrections or want to add something to add to these articles or threads, email tom@askanaturalist.com. 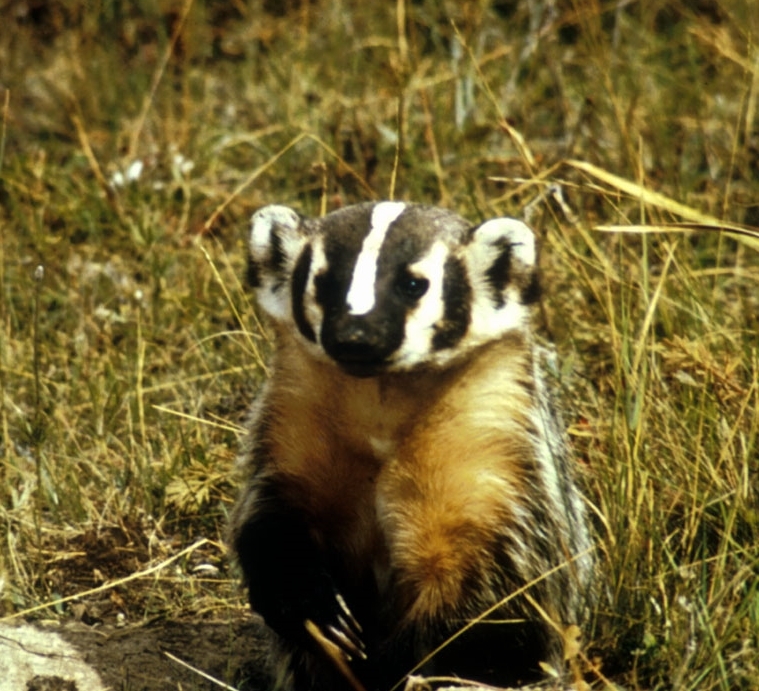 Why Did a Badger Fill in my Post Holes? The Question: We dug some post holes, and next morning they were filled in. We redug and again they were filled in overnight. On the third or fourth day I happened to be outside just as dawn broke and saw a badger filling in one of the post holes. Have you ever witnessed this or heard reports of this behavior from others? 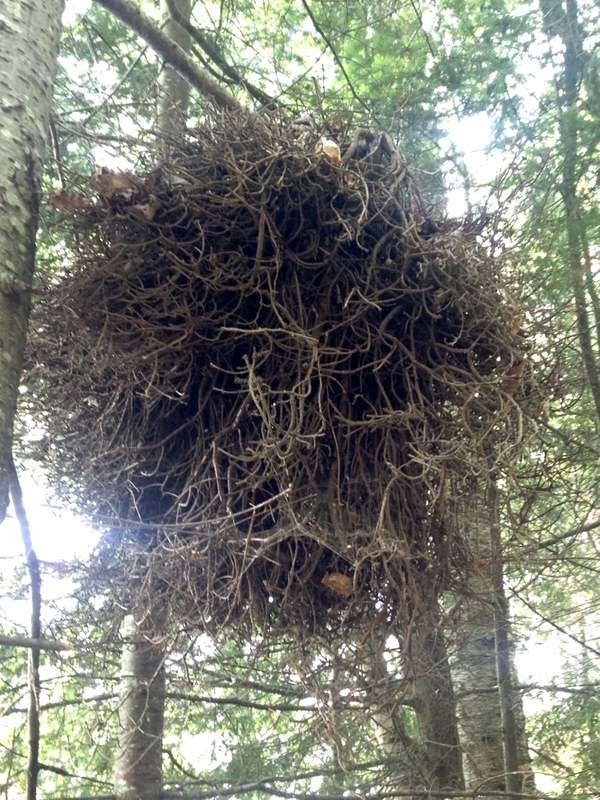 The Question: We saw this large nest while hiking in Wisconsin. Who made it? 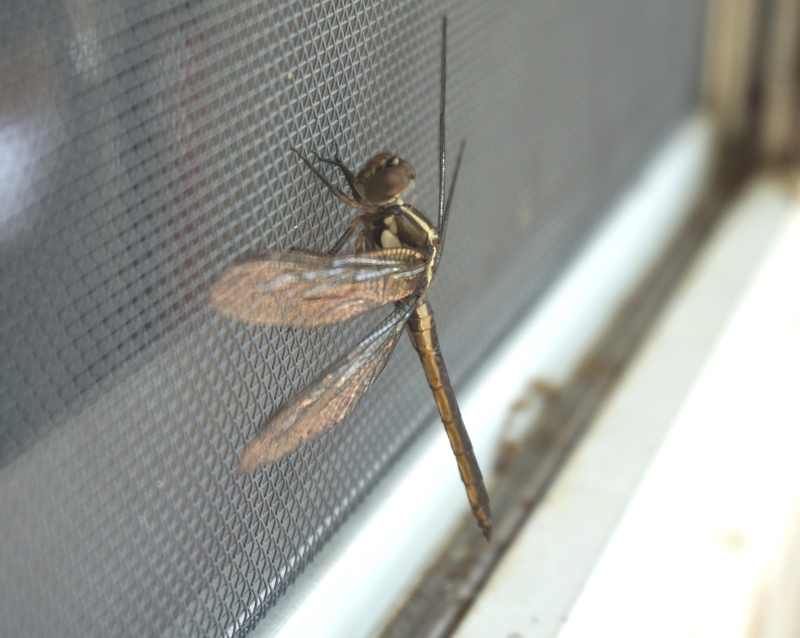 Do dragonflies mean safe drinking water? The Question: Someone recently told our young son that if you see a dragonfly near water (such as a pond), then it is safe for humans to drink the water. Is this true? What are these bubbles all over the lake? The Question: In early June, I took a kayak trip on Winton Lake, starting out before sunrise and getting to the area where these photos were taken just as the sun was coming up. There were green bubbles all over the lake. After the sun came up, they began to break up and were gone within about an hour after sunrise. I’ve never seen anything like this on any lake I’ve ever paddled and I’m very curious what could cause it! Can you supply any answers? 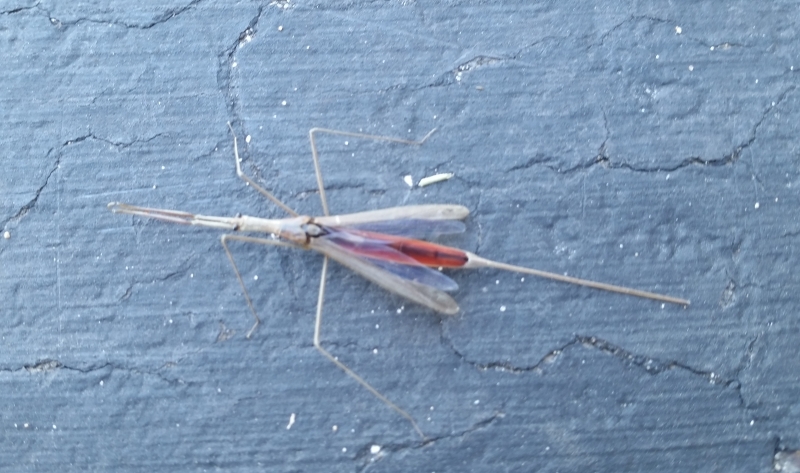 What is this long, skinny insect? The Question: I found this on my driveway. It doesn’t look like anything I’ve ever seen. It was about 7.5 cm (3 in.) long. What is it?